American audiences know him from The Hunger Games films, portraying brooding and tormented Finnick Odair. 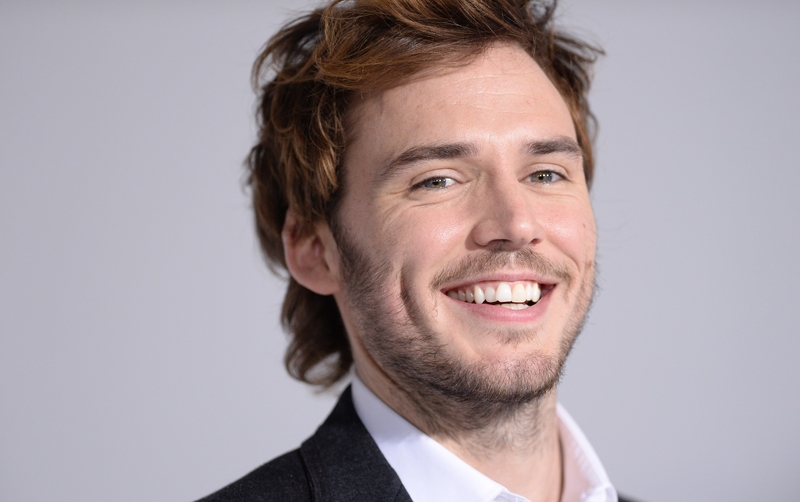 But now, American filmgoers will get a taste of Sam Claflin's romantic comedy chops in the British offering Love, Rosie, a will-they-won't-they story about two childhood best friends. I sat down with the English actor to talk about the film, his favorite romcoms (Love Actually, My Best Friend's Wedding and "anything by Richard Curtis"), and one terrible Meet the Parents -esque experience. While the star is now happily married, he can recall one a humiliating dating experience from his youth. "The most comedic moment I've had with a girl was very similar to Meet the Parents," he began. "It started off with me meeting my girlfriend's mum and dad. I was warned about these two sets of grandparents. I was told to be very charming and polite to one of them. I met her dad's best friend initially. He came up to me and was like 'Sam! So you're Eloise' bit of meat..' And I was like 'Yeah, I am!' And after that I thought I was going to get along with everyone so well." But then things spiraled downward. He continued to say: "Then I was introduced to the grandparents, and they said, 'Oh, you're Sam,' and I go, 'Yeah, Eloise' bit of meat!' And they were like... [wide eyes], and I realized it was the wrong grandparents to be doing that with." After the initial hiccup, the day continued. Claflin explained that he vacated to the back garden to play with the children and play fetch with the family dog. "I thought to myself, 'I'm going to throw it higher than any of these kids!' So I threw it, watched it go over my head and fall into a greenhouse window. And at that, I went, 'Fuuuuuuck!' And I turned around and all these little kids are looking up at me and going, 'You just swore? He just swore!'" And that isn't the half of it. "We kept on playing, and we were playing football — soccer – and I slipped and my trousers split all down the crotch. I had no spare trousers," he said. "You look at a movie like Meet the Parents and you think, there's no way this could happen... and that scenario was over a weekend. This was in one day. So it definitely is feesible. It can happen, I'm just very clumsy. A disaster, really." To see more of Claflin's comedic behavior (planned, this time) see Dear, Rosie — co-starring Lily Collins — in theatres and OnDemand starting Feb. 6.